Asghar Farhadi of Iran won the award for The Salesman. This is a list of submissions to the 89th Academy Awards for Best Foreign Language Film. The Academy of Motion Picture Arts and Sciences (AMPAS) has invited the film industries of various countries to submit their best film for the Academy Award for Best Foreign Language Film every year since the award was created in 1956. The award is presented annually by the Academy to a feature-length motion picture produced outside the United States that contains primarily non-English dialogue. The Foreign Language Film Award Committee oversees the process and reviews all the submitted films. The submitted motion pictures must be first released theatrically in their respective countries between 1 October 2015 and 30 September 2016. The deadline for submissions was 3 October 2016, with the Academy announcing a list of eligible films on 11 October. A record total of 89 countries submitted a film before the deadline and 85 were accepted. Yemen submitted a film for the first time with I Am Nojoom, Age 10 and Divorced, directed by Khadija al-Salami. Nine finalists from among the dozens of entries were shortlisted on 15 December 2016, with the final five nominees announced on 24 January 2017. 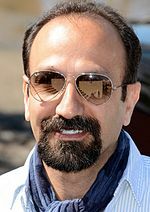 Asghar Farhadi of Iran won the award for The Salesman at the Oscar ceremony on 26 February 2017, his second win after A Separation (2011). He did not attend the ceremony to accept the award in protest of new U.S. travel policies. Afghanistan's submission Parting was not included on the list of eligible contenders announced by the Academy. Armenia's submission Earthquake was disqualified for not meeting the submission requirements. Austria's submission Stefan Zweig: Farewell to Europe was reportedly rejected by the Academy for not being an Austrian film. The film was ultimately included on the list of eligible contenders announced by the Academy. Brazil had three films withdrawn from consideration; Neon Bull, Don't Call Me Son and To My Beloved. This was in protest of the appointment of Marcos Petrucelli as a member of the committee, due to his pre-established criticism of Aquarius after the cast and crew of the film protested in Cannes against the Impeachment of Dilma Rousseff. Although Aquarius was seen as the front-runner, it was not chosen by the committee, generating disapproval and more controversy over the relations between the film and Brazil's new government. Cameroon's submission Yahan Ameena Bikti Hai was not included on the list of eligible contenders announced by the Academy. Tunisia's submission was originally reported to be The Flower of Aleppo directed by Ridha Behi. However, this was later changed to As I Open My Eyes directed by Leyla Bouzid. Neither film was included on the list of eligible contenders announced by the Academy. ^ a b "History of the Academy Awards - Page 2". Academy of Motion Picture Arts and Sciences. Archived from the original on 22 June 2008. Retrieved 19 September 2014. ^ a b "Rule Thirteen: Special Rules for the Foreign Language Film Award" (PDF). Academy of Motion Picture Arts and Sciences. Academy of Motion Picture Arts and Sciences. Archived from the original (PDF) on 2 October 2016. Retrieved 4 October 2016. ^ Hazelton, John (6 July 2016). "Oscar submission deadlines released". Screendaily. Retrieved 4 August 2016. ^ a b c d e f "85 Countries In Competition For 2016 Foreign Language Film Oscar". Academy of Motion Picture Arts and Sciences. 11 October 2016. Retrieved 11 October 2016. ^ a b c d e "Oscars: Nine Films Advance in Foreign-Language Race". Variety. 15 December 2016. Retrieved 15 December 2016. ^ "Category Timeline". Academy of Motion Picture Arts and Sciences. 9 October 2016. Retrieved 9 October 2016. ^ Bhushan, Nyay (27 February 2017). "The Salesman wins best foreign language Oscar". The Guardian. Retrieved 26 February 2017. ^ Bhushan, Nyay (12 September 2016). "Oscars: Afghanistan Selects 'Raftan' for Foreign-Language Category". The Hollywood Reporter. Retrieved 12 September 2016. ^ a b c Pond, Steve (11 October 2016). "Oscar Foreign Language Race Breaks Record With 85 Entries". TheWrap. Retrieved 11 October 2016. ^ Holdsworth, Nick (18 September 2016). "Oscars: Albania Selects 'Chromium' for Foreign-Language Category". The Hollywood Reporter. Retrieved 18 September 2016. ^ Salazar, Francisco (11 September 2016). "Oscar 2017 Predictions: 'The Well' will Represent Algeria at the Oscars". Latin Post. Retrieved 11 September 2016. ^ Hopewell, John (30 September 2016). "Argentina Chooses 'The Distinguished Citizen' As Its Foreign-Language Oscar Entry". Variety. Retrieved 30 September 2016. ^ Holdsworth, Nick (4 September 2016). "Oscars: Armenia Selects 'Earthquake' for Foreign-Language Category". The Hollywood Reporter. Retrieved 5 September 2016. ^ a b Kozlov, Vladimir (12 October 2016). "Foreign-Language Oscar: Armenian Submission Disqualified". The Hollywood Reporter. Retrieved 13 October 2016. ^ Frater, Patrick (23 August 2016). "Australia Selects 'Tanna' as Foreign-Language Oscar Contender". Variety. Retrieved 23 August 2016. ^ a b c d "Oscars 2017: The full nominations". BBC News. 24 January 2017. Retrieved 24 January 2017. ^ Roxborough, Scott (6 September 2016). "Oscars: Austria Selects 'Stefan Zweig' for Foreign-Language Category". The Hollywood Reporter. Retrieved 6 September 2016. ^ "Oggatonama to represent Bangladesh at Oscars". The Daily Star. 26 September 2016. Retrieved 26 September 2016. ^ Cavassuto, Maria (30 August 2016). "'The Ardennes' to Represent Belgium in Academy Awards Race". Variety. Retrieved 30 August 2016. ^ Salazar, Francisco (23 September 2016). "Oscar 2017 Predictions: Will Bolivia get its First Oscar Nomination with 'Sealed Cargo?'". Latin Post. Retrieved 23 September 2016. ^ Holdsworth, Nick (31 August 2016). "Oscars: Bosnia Selects 'Death in Sarajevo' for Foreign-Language Category". The Hollywood Reporter. Retrieved 31 August 2016. ^ Pedersen, Erik (12 September 2016). "Brazil Adopts 'Little Secret' For Foreign Language Oscar Race". Deadline. Retrieved 12 September 2016. ^ Kozlov, Vladimir (14 September 2016). "Oscars: Bulgaria Selects 'Losers' for Foreign-Language Category". The Hollywood Reporter. Retrieved 14 September 2016. ^ "Indian film Cameroon's entry for Oscars". The Times of India. 11 October 2016. Retrieved 11 October 2016. ^ Vlessing, Etan (23 September 2016). "Oscars: Canada Selects 'It's Only the End of the World' for Foreign-Language Category". The Hollywood Reporter. Retrieved 23 September 2016. ^ Mango, Agustin (13 September 2016). "Oscars: Chile Selects 'Neruda' for Foreign-Language Category". The Hollywood Reporter. Retrieved 13 September 2016. ^ Rahman, Abid (5 October 2016). "Oscars: China Selects 'Xuan Zang' for Foreign-Language Category". The Hollywood Reporter. Retrieved 5 October 2016. ^ Mango, Agustin (12 September 2016). "Oscars: Colombia Selects 'Alias Maria' for Foreign-Language Category". The Hollywood Reporter. Retrieved 12 September 2016. ^ Salazar, Francisco (12 October 2016). "Oscar 2017 Predictions: 'About Us' Will represent Costa Rica at the Oscars". Latin Post. Retrieved 21 October 2016. ^ Holdsworth, Nick (12 September 2016). "Oscars: Croatia Selects 'On the Other Side' for Foreign-Language Category". The Hollywood Reporter. Retrieved 12 September 2016. ^ Salazar, Francisco (18 August 2016). "Oscar 2017 Predictions: Will Cuba Get its Second Oscar Nomination with Busan Film Festival Selection "The Companion?"". Latin Post. Retrieved 18 August 2016. ^ Holdsworth, Nick (16 September 2016). "Oscars: Czech Republic Selects 'Lost in Munich' for Foreign-Language Category". The Hollywood Reporter. Retrieved 16 September 2016. ^ Roxborough, Scott (19 September 2016). "Oscars: Denmark Selects 'Land of Mine' for Foreign-Language Category". The Hollywood Reporter. Retrieved 19 September 2016. ^ Salazar, Francisco (9 September 2016). "Oscar 2017 Predictions: Dominican Republic chooses 'Flor de Azcuar' for the Oscars". Latin Post. Retrieved 9 September 2016. ^ Salazar, Francisco (5 October 2016). "Oscar 2017 Predictions: 'Such is Life in the Tropics' will Represent Ecuador at the Oscars". Latin Post. Retrieved 5 October 2016. ^ Ritman, Alex (1 September 2016). "Oscars: Egypt Selects 'Clash' for Foreign-Language Category". The Hollywood Reporter. Retrieved 1 September 2016. ^ Holdsworth, Nick (16 September 2016). "Oscars: Estonia Selects 'Mother' for Foreign-Language Category". The Hollywood Reporter. Retrieved 16 September 2016. ^ Holdsworth, Nick (5 September 2016). "Oscars: Finland Selects 'The Happiest Day in the Life of Olli Maki' for Foreign-Language Category". The Hollywood Reporter. Retrieved 5 September 2016. ^ Richford, Rhonda (26 September 2016). "Oscars: France Selects 'Elle' for Foreign-Language Category". The Hollywood Reporter. Retrieved 26 September 2016. ^ Holdsworth, Nick (9 August 2016). "Oscars: Georgia Selects 'House of Others' for Foreign-Language Category". The Hollywood Reporter. Retrieved 9 August 2016. ^ Roxborough, Scott (25 August 2016). "Oscars: Germany Selects 'Toni Erdmann' for Foreign-Language Category". The Hollywood Reporter. Retrieved 25 August 2016. ^ Chu, Karen (22 September 2016). "Oscars: Hong Kong Selects 'Port of Call' for Foreign-Language Category". The Hollywood Reporter. Retrieved 23 September 2016. ^ Holdsworth, Nick (31 August 2016). "Oscars: Hungary Chooses 'Kills on Wheels' for Foreign-Language Category". The Hollywood Reporter. Retrieved 31 August 2016. ^ Roxborough, Scott (21 September 2016). "Oscars: Iceland Selects 'Sparrows' for Foreign-Language Category". The Hollywood Reporter. Retrieved 21 September 2016. ^ Ramachandran, Naman (22 September 2016). "India Puts 'Interrogation' Into Foreign-Language Oscars Contention". Variety. Retrieved 22 September 2016. ^ Simanjuntak, Tertiani (23 September 2016). "'Surat dari Praha' to represent Indonesia at Oscars". The Jakarta Post. Retrieved 23 September 2016. ^ "Oscars: Iran Selects Asghar Farhadi's 'The Salesman' for Foreign-Language Category". The Hollywood Reporter. 17 September 2016. Retrieved 19 September 2016. ^ "The 89th Academy Awards 2017". Academy of Motion Picture Arts and Sciences. 26 February 2017. Retrieved 26 February 2017. ^ Salazar, Francisco (5 September 2016). "Oscar 2017 Predictions: 'El Clasico' to represent Iraq at the Academy Awards". Latin Post. Retrieved 5 September 2016. ^ Blair, Gavin J. (6 September 2016). "Oscars: Japan Selects 'Nagasaki: Memories of My Son' for Foreign-Language Category". The Hollywood Reporter. Retrieved 6 September 2016. ^ Ritman, Alex (27 September 2016). "Oscars: Jordan Selects '3000 Nights' for Foreign-Language Category". The Hollywood Reporter. Retrieved 27 September 2016. ^ Holdsworth, Nick (29 September 2016). "Oscars: Kazakhstan Selects 'Amanat' for Foreign-Language Category". The Hollywood Reporter. Retrieved 29 September 2016. ^ Holdsworth, Nick (15 September 2016). "Oscars: Kosovo Selects 'Home Sweet Home' for Foreign-Language Category". The Hollywood Reporter. Retrieved 15 September 2016. ^ "Oscars: Kyrgyzstan Selects 'A Father's Will' for Foreign-Language Category". The Hollywood Reporter. 27 September 2016. Retrieved 27 September 2016. ^ Holdsworth, Nick (23 September 2016). "Oscars: Latvia Selects 'Dawn' for Foreign-Language Category". The Hollywood Reporter. Retrieved 23 September 2016. ^ Holdsworth, Nick (13 September 2016). "Oscars: Lithuania Selects 'Seneca's Day' for Foreign-Language Category". The Hollywood Reporter. Retrieved 13 September 2016. ^ ""Voices from Chernobyl" to represent Luxembourg". Luxemburger Wort. 9 September 2016. Retrieved 9 September 2016. ^ Holdsworth, Nick (27 September 2016). "Oscars: Macedonia Selects 'The Liberation of Skopje' for Foreign-Language Category". The Hollywood Reporter. Retrieved 27 September 2016. ^ Chua, Dennis (4 October 2016). "'Redha' to compete at next year's Academy Awards". New Straits Times. Retrieved 4 October 2016. ^ Hecht, John (14 September 2016). "Oscars: Mexico Selects 'Desierto' for Foreign-Language Category". The Hollywood Reporter. Retrieved 14 September 2016. ^ Kozlov, Vladimir (28 September 2016). "Oscars: Montenegro Selects 'The Black Pin' for Foreign-Language Category". The Hollywood Reporter. Retrieved 28 September 2016. ^ "Oscars: Morocco Selects 'A Mile in My Shoes' As Foreign Language Entry". Morocco World News. 8 September 2016. Retrieved 8 September 2016. ^ Holdsworth, Nick (6 September 2016). "Oscars: Nepal Selects 'Kalo Pothi (The Black Hen)' for Foreign-Language Category". The Hollywood Reporter. Retrieved 6 September 2016. ^ Roxborough, Scott (6 September 2016). "Oscars: Netherlands Selects 'Tonio' for Foreign-Language Category". The Hollywood Reporter. Retrieved 6 September 2016. ^ Bulbeck, Pip (21 September 2016). "Oscars: New Zealand Selects 'A Flickering Truth' for Foreign-Language Category". The Hollywood Reporter. Retrieved 21 September 2016. ^ "Mah-e-Mir selected as Pakistan's official submission to 2017 Oscars". The Express Tribune. 22 September 2016. Retrieved 22 September 2016. ^ Tartaglione, Nancy (28 September 2016). "Oscars: Palestine Enters Hany Abu-Assad's 'The Idol' In Foreign Language Race". Deadline. Retrieved 28 September 2016. ^ Salazar, Francisco (19 September 2016). "Oscar 2017 Predictions: Panama Submits 'Salsipuedes' to represent the Country". Latin Post. Retrieved 19 September 2016. ^ "PERÚ: Oscar 2017: la película "Videofilia" representará al Perú". Entorno Inteligente. 15 September 2016. Retrieved 15 September 2016. ^ "'Ma' Rosa' is PH's entry to Oscars 2017". CNN Philippines. 14 September 2016. Retrieved 14 September 2016. ^ Holdsworth, Nick (28 September 2016). "Oscars: Poland Selects 'Afterimage' for Foreign-Language Category". The Hollywood Reporter. Retrieved 28 September 2016. ^ ""Cartas da Guerra" é o candidato português aos Óscares". TVI24. 13 September 2016. Retrieved 13 September 2016. ^ Kozlov, Vladimir (19 August 2016). "Oscars: Romania Selects 'Sieranevada' for Foreign-Language Category". The Hollywood Reporter. Retrieved 19 August 2016. ^ Kozlov, Vladimir (20 September 2016). "Oscars: Russia Selects 'Paradise' for Foreign-Language Category". The Hollywood Reporter. Retrieved 20 September 2016. ^ Roxborough, Scott (24 August 2016). "Oscars: Saudi Arabia Selects 'Barakah Meets Barakah' For Foreign-Language Category". The Hollywood Reporter. Retrieved 24 August 2016. ^ Holdsworth, Nick (13 September 2016). "Oscars: Serbia Selects 'Train Driver's Diary' for Foreign-Language Category". The Hollywood Reporter. Retrieved 13 September 2016. ^ Blair, Gavin J. (15 September 2016). "Oscars: Singapore Selects 'Apprentice' for Foreign-Language Category". The Hollywood Reporter. Retrieved 15 September 2016. ^ Holdsworth, Nick (22 September 2016). "Oscars: Slovakia Selects 'Eva Nova' for Foreign-Language Category". The Hollywood Reporter. Retrieved 23 September 2016. ^ Holdsworth, Nick (21 September 2016). "Oscars: Slovenia Selects 'Houston, We Have a Problem!' for Foreign-Language Category". The Hollywood Reporter. Retrieved 21 September 2016. ^ "'Call Me Thief' Is South Africa's 2017 Foreign Language Film Academy Award Submission". Shadow and Act. 27 September 2016. Archived from the original on 2 October 2016. Retrieved 28 September 2016. ^ Kil, Sonia (30 August 2016). "Warner Bros.' 'Age of Shadows' Picked as Korea's Oscar Contender". Variety. Retrieved 30 August 2016. ^ Rolfe, Pamela (7 September 2016). "Oscars: Spain Selects Pedro Almodovar's 'Julieta' for Foreign-Language Category". The Hollywood Reporter. Retrieved 7 September 2016. ^ Roxborough, Scott (1 September 2016). "Oscars: Sweden Selects 'A Man Called Ove' for Foreign-Language Category". The Hollywood Reporter. Retrieved 1 September 2016. ^ Keslassy, Elsa (5 August 2016). "Switzerland Sends Claude Barras's 'My Life as a Courgette' to Foreign-Language Oscar Race". Variety. Retrieved 5 August 2016. ^ "Taiwan's indigenous film 'Lokah Laqi' to vie for Oscar award". Focus Taiwan. 22 September 2016. Retrieved 22 September 2016. ^ Rithdee, Kong (20 September 2016). "Thai film 'Apatti' entered for an Oscar". Bangkok Post. Retrieved 20 September 2016. ^ a b "Officiel : 'A peine j'ouvre les yeux' de Leyla Bouzid représentera la Tunisie aux Oscars 2016". Tuniscope. 22 September 2016. Retrieved 22 September 2016. ^ "Turkey submits rural drama Cold of Kalandar for this year's Oscars". Daily Sabah. 27 September 2016. Retrieved 27 September 2016. ^ "Ukraine selects its candidate for foreign-language Oscar". Ukraine Today. 9 September 2016. Retrieved 9 September 2016. ^ McNary, Dave (21 September 2016). "Iranian Horror Movie 'Under the Shadow' Selected as U.K. Foreign-Language Oscar Entry". Variety. Retrieved 22 September 2016. ^ ""Breadcrumbs", Spanish-Uruguayan film produced by EWA members, preselected for the Oscars". European Women's Audiovisual Network. 9 September 2016. Retrieved 17 September 2016. ^ Mango, Agustin (11 August 2016). "Venezuela Selects 'From Afar' as Oscar Entry". The Hollywood Reporter. Retrieved 11 August 2016. ^ "Vietnam announces 2017 Academy Award submission". Tuoi Tre News. 17 September 2016. Retrieved 17 September 2016. ^ "Nicht österreichisch genug: Academy lehnt "Vor der Morgenröte" als Oscar-Beitrag ab (Not Austrian enough Academy rejects "Before the Dawn" as Oscar-contribution from)". Filmstarts. 10 October 2016. Retrieved 10 October 2016. ^ Fuente, Kristopher Tapley,Shalini Dore,Anna Marie de la (27 August 2016). "Oscars: Controversy Erupts Over Brazilian Film 'Aquarius'". Retrieved 10 September 2016. ^ Mango, Augustin (12 September 2016). "Oscars: Brazil Selects 'Little Secret' for Foreign-Language Category". The Hollywood Reporter. Retrieved 23 September 2016. ^ Romero, Simon (27 September 2016). "Brazilian Politics Smother a Film's Oscar Ambitions". The New York Times. Retrieved 30 September 2016. ^ Figueiro, João Vitor (12 September 2016). "Escolha de Pequeno Segredo para representar Brasil na corrida pelo Oscar é criticada por diretores". Adoro Cinema. Retrieved 23 September 2016. ^ Genestreti, Guilherme (30 August 2016). "'Aquarius' chega ao circuito embalado por polêmicas e voltagem política". Folha de S. Paulo. Retrieved 23 September 2016. ^ Ritman, Alex (5 September 2016). "Oscars: Tunisia Selects 'Flower of Aleppo' for Foreign-Language Category". The Hollywood Reporter. Retrieved 5 September 2016. This page was last edited on 10 March 2019, at 13:53 (UTC).